Sean is a passionate polyglot: A full-stack wizard, sys admin, and data scientist. He's also developed market intelligence software. Operations research and convex optimization is a field of applied mathematics that has found wide-ranging commercial applications over the years. As computing power became more affordable and widely available, researchers began building increasingly sophisticated optimization algorithms to help them make better decisions. Today, applications powered by operations research power everything from routing in global logistics to electricity production smoothing in the energy industry. As the underlying technology grew in complexity, a new set of tools has been created to help researchers and developers work more productively. These tools, such as AMPL, CVXPY, and PuLP, allow developers to quickly define, build, and run optimization algorithms and interface with a wide variety of solvers. However, while optimization technologies and business needs continue to grow in sophistication, most of these tools have stayed more or less the same and did not evolve quickly enough to meet industry needs. As a result, developing, managing, debugging, and tuning these algorithms often requires a large amount of cognitive overhead, especially in a fast-moving business environment. Today, I’d like to introduce HorusLP, a Python optimization library that helps with the architecture of algorithm development workflows. We will talk about the problems that the tool is designed to solve, then provide a quick overview of the Python library, and we will build some example optimization algorithms. 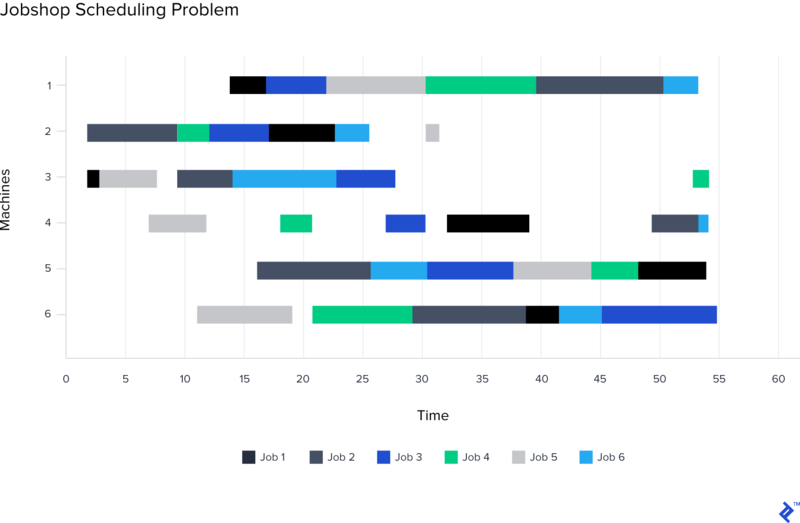 One of the perennial problems facing most developers is the balance between building a maintainable, efficient, idiomatic software and delivering a product within the time constraints of the project. Whether you’re working on a browser-based application, a web API, or a user authentication microservice, there is often a tradeoff between the “right” way and the “fast” way of accomplishing your goals. This inherent tradeoff becomes more salient as product complexity increases. In most disciplines, a developer can alleviate this problem by choosing a framework or library that helps with the architecture. In the web-facing front-end, many developers choose React or Angular; in the world of API development, software engineers may choose from Django, ASP.NET MVC, or Play, among many others. However, when it comes to the humble optimization algorithm developer, there are very few architecture tools to help manage the architectural complexity. The developer is left to manage variables, constraints, and various objectives on their own. What’s more, operations research algorithms are generally difficult to introspect, exacerbating the problem. The main purpose of HorusLP is to provide an architectural framework for developing optimization algorithms. By providing structural consistency, the framework makes organization easier and allows developers to focus on what they do best: building algorithms. Variables often have to be added to accommodate additional business requirements and there is no easy way to track them for use in model definitions and reporting later on. Related variables need to be grouped and tracked, and there isn’t an obvious way to manage them. Constraints need to be added and removed to support various scenarios and to perform debugging, but there isn’t an obvious place to add or remove constraints. Constraints are often related/dependent on each other, and there is no natural way to express their relationships. Objective expressions can become unwieldy if they have multiple components. This can be exacerbated if the various components are weighted, and the weights need to be adjusted based on business requirements. There is no easy way to see the results of the model during development. A developer has to explicitly print new variables and constraint values to see the results. This leads to duplicated code and slower development. HorusLP hopes to make these challenges more manageable by providing structure, tooling, best practices to improve developer productivity and product maintainability. Without further ado, let’s dive in and see what the HorusLP library can do for you! Once the installation is complete, let’s go ahead and open a Python file. We will implement the knapsack problem from my earlier article on operations research. from horuslp.core import Constraint, VariableManager, Problem, ObjectiveComponent # We will also need to import the constraint class, variable manager class, the main problem class, and the objective class to define the objective. Now that the variables are defined, let’s define the constraints. We create constraints by subclassing the main constraint class and implementing its “define” function. In the define function, you can ask for the required variables by name. The framework will locate the variable in the variable manager and pass it into the define function. The define function has a very similar setup to the constraint class’s define function. Instead of returning a constraint expression, however, we return an affine expression. After the solve, we can print the results using the problem class’s print_results function. We can also access the value of specific variables by looking at the result_variables class. You should see the problem status, the final value of the variables, the objective value, and the value of the constraint expression. We also see the resulting values of the variables as a dictionary. And there we have it, our first HorusLP problem in about 35 lines! In the coming examples, we’ll explore some more sophisticated features of the HorusLP library. Sometimes, variables are related and belong to a logical group. In the case of the knapsack problem, all variables can be placed into an object group. We can refactor the code to use the variable group. Be sure the save the code from the previous section as we will refer to it in subsequent tutorials! The first argument is the variable group’s name, the second variable is a list of names for the variables within that group. Models with a single constraint are relatively rare. When working with multiple constraints, it is good to have all of the constraints in one place so that they can be tracked and managed easily. HorusLP makes that natural. Suppose, for example, we wanted to see how the results would change if we forced the model to add a camera to our knapsack. We would implement an additional constraint and add it to our problem definition. You should see the new constraint being printed in the stdout, and the changed optimal variable values. Constraints are often related to each other either because they’re dependent on each other, or because they logically belong to the same group. For example, if you want to set a constraint to limit the sum of absolute value of a set of variables, you must first specify constraints to express the absolute value relationships between the intended variables, and then specify the absolute value limits. Sometimes, you need to apply similar constraints to a group of variables to express a specific relationship between variables. Looks like the MustHaveItemConstraint is implemented! For a more complex example of how dependent constraint can be used, refer to the staffing example at the end of the tutorial. Often, during the development of our optimization algorithms, we will encounter an objective expression comprised of multiple parts. As part of our experimentation, we may change the weighing of various objective components to bias the algorithm toward the desired outcome. 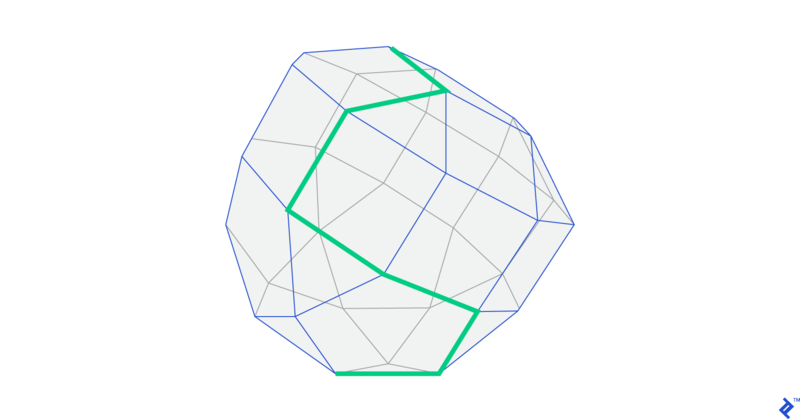 The CombinedObjective provides a clean and simple way to express this. Suppose we wanted to bias the algorithm to choose the figurine and the cider. Let’s refactor the code from the previous section to use CombinedObjective. The output will outline the combined objective value, the value of each of the objective components, the weight, and of course of the value of all the constraints. When developing algorithms, we often run into infeasible models. If the model is complex, it can be challenging to determine why the model is suddenly infeasible. HorusLP has a handy tool to help you in those cases. Great! Now we have established that MustHaveItemConstraint is not the cause of the infeasibility and that the issue is due to CombinedConstraints1 and CombinedConstraints2. While it is tempting to run deep infeasibility search every time, for realistic problems with a large number of total constraints, deep infeasibility search can become very resource intensive and time-consuming. Therefore, it is best to run the basic infeasibility search to narrow the possibility down and run the deep infeasibility search on a smaller subset after doing some manual investigation. We can do this by relying on the kwargs’ support of the “define” function that we implement for constraints and objectives. This will define a variable for each of the items in the JSON, and name it appropriately. By asking for **kwargs instead of specific variables, the define function gets a dictionary containing all the variables by name. The constraint definition function can then access the variables from the dictionary. Note: For variable groups, it will be a nested dictionary where the first level is the group name and the second level is the variable name. Sometimes, for both debugging and reporting purposes, we will build custom metrics that are not expressed directly in the objective or as a constraint. HorusLP has a feature to make specifying custom metrics simple. name = "Number of Fruits"
As you can see, the defined interface looks very similar to those of the constraint and objective component class. If you’ve followed the tutorial thus far, this should be fairly familiar to you. You can see the number of fruits printed at the bottom. Now let’s set up the variables. We’ll set up a binary variable for every possible item/container combination. # bag can only hold durable goods. Now we want to implement weight constraints for both the suitcase and the bag. Now we need to implement a slightly more complex constraint—the constraint that ensures an item doesn’t go into both the suitcase and the bag—that is, if the “in the suitcase” variable is 1, then the “in the bag” variable needs to be zero, and vice versa. Of course, we want to make sure to allow instances where the item ends up in neither container as well. To add this constraint, we need to iterate over all the durable items, find the “in the suitcase” variable and the “in the bag” variable and assert that the sum of these variables is less than 1. # call the dependent constraint builder function for every durable item, and push them into dependent constraints. # we name the constraint based on the item this is for, so that debugging is easier. So the camera, glasses, apple, and banana go into the suitcase for a total of 15 weight units, the figurine, horn, and leatherman all go into the bag for a total of 17 weight. The total value of the goods comes out to 32 value units. Interestingly, none of the durable goods ended up in the suitcase, most likely because the bag had enough capacity to hold all the durable goods. If you’ve made it this far in our HorusLP tutorial, congratulations! You now have a good idea of how to use HorusLP. However, all of the examples we’ve been working on have thus far been permutations of the knapsack problem, and some of the requirements and parameters are a bit unrealistic. Let’s work through one more problem together to see how HorusLP can solve a more realistic problem. We’ll work through the staffing problem outlined in the second half of my previous Toptal article. In the interest of time, we will go straight for the final version of the model (with personal conflicts, labor regulations, and temp worker allowances) but the implementation of the initial simpler model is available on GitHub as well. # the following people can't work together, sadly. # we can make someone work more than two shifts a day. # we can't use worker directly! sense = MINIMIZE # we're minimizing this time, not maximizing. If you compare this with the problem we implemented in the previous tutorial, you should see that the results match. Congratulations for making it through our first HorusLP tutorial! You’re now a competent practitioner of HorusLP. I hope that this article convinced you of the benefits of architecting your MIP models, and that you will make use of HorusLP in your coming projects. You can find the HorusLP source code, as well as the code for all the tutorials, on GitHub. Additional HorusLP documentation and a tutorial page will be added to GitHub very soon. As HorusLP is a fairly new project, we would love to hear from you and incorporate your input. If you have any questions, comments, or suggestions, please drop me a line either through Toptal or using the contact information you can find on GitHub. I hope to hear from you soon! HorusLP is a Python optimization library designed to help you architect algorithm development workflows. It has a simple, declarative API and very little boilerplate. What is the Knapsnack problem? The Knapsnack problem is an optimization problem centered on combinatorial optimization. 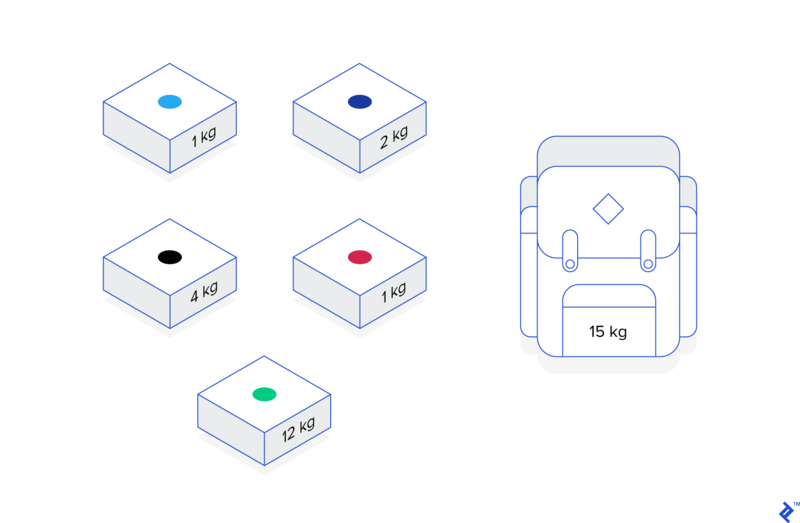 When presented with a set of items with different weights and values, the aim is to “fit” as many of them into a knapsack that is constrained and not subject to change. Sean is a passionate polyglot developer with extensive experience in full-stack web development, system administration, and data science. He is capable of working in both Linux and Windows environments and has developed everything from machinery interface to market intelligence software. Sean is also an excellent communicator and spends his spare time coaching speech and debate. Surprisingly interesting, even to someone like me who has very little exposure to LP/MIP. The examples are very effective in demonstrating HorusLP’s expressive power and flexibility.